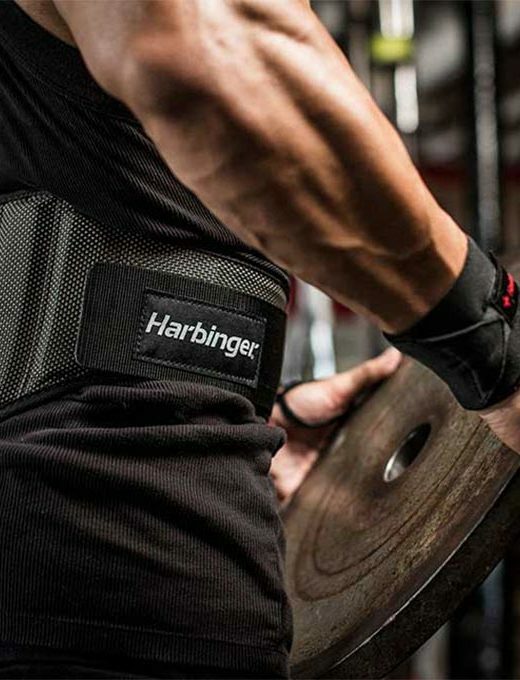 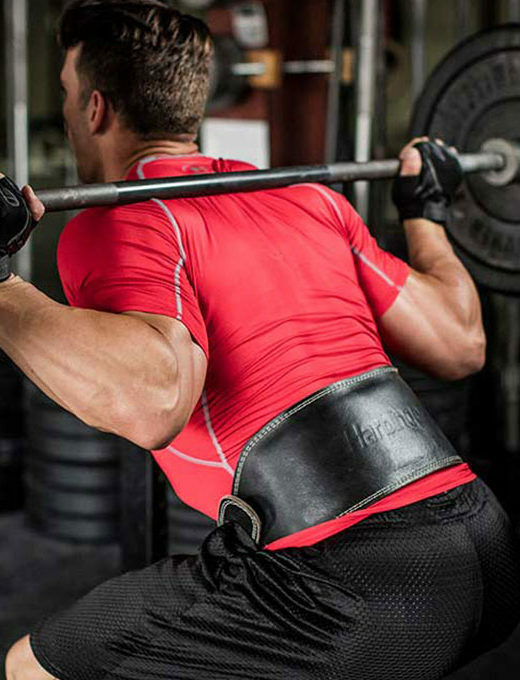 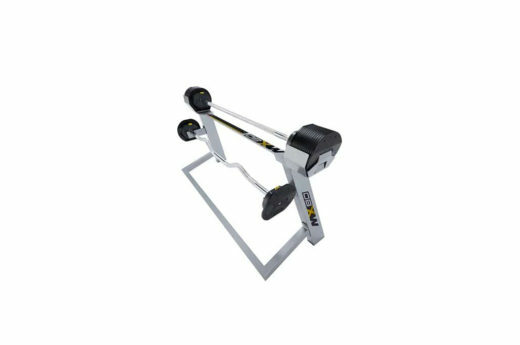 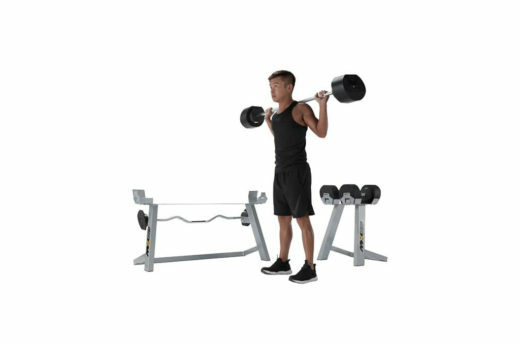 From deadlifts, presses, cleans and jerks the MX80 variable weight system combines a range of fixed bar options in one compact, heavy duty weight lifting package). 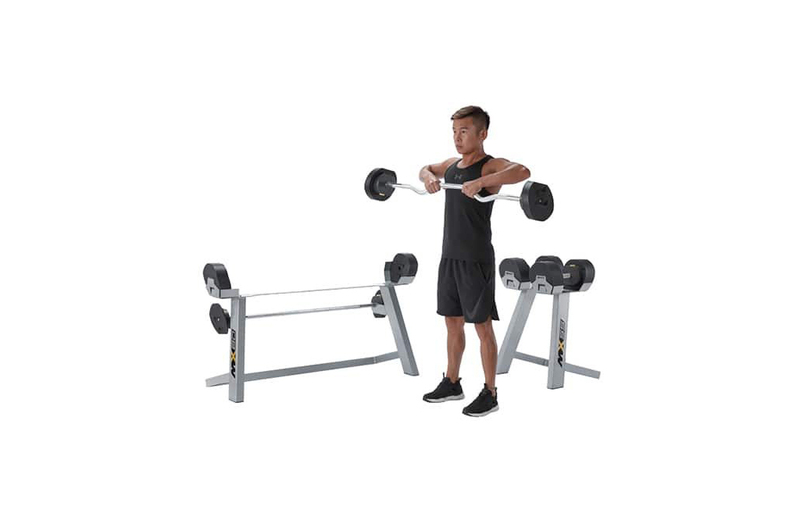 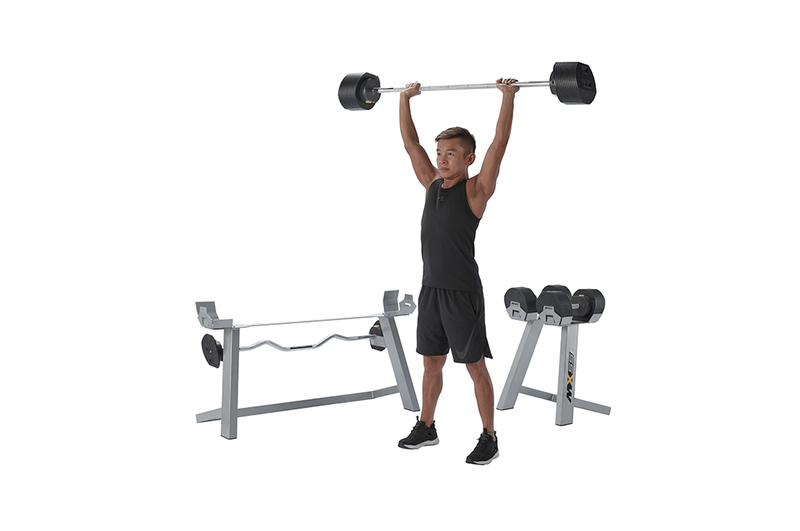 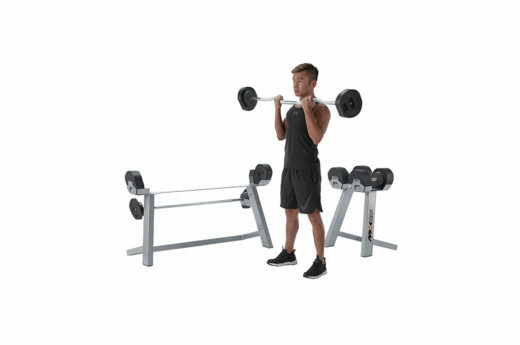 This industry-first adjustable barbell and EZ curl rack is designed for compact spaces and allows for seamless weight transition between reps.
From deadlifts, presses, cleans and jerks the MX80 variable weight system combines a range of fixed bar options in one compact, heavy duty weight lifting package. 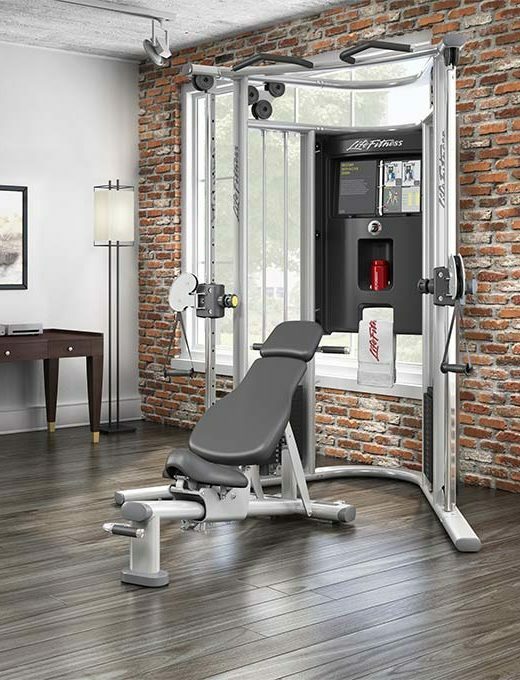 Replacing 26 fixed weight bars or 1140 lbs (517 kg), this industry-first adjustable barbell and EZ curl rack is designed for compact spaces and allows for seamless weight transition between reps.
At the turn of a selector dial, you can rapidly increase or decrease your weight to match your strength training goals. 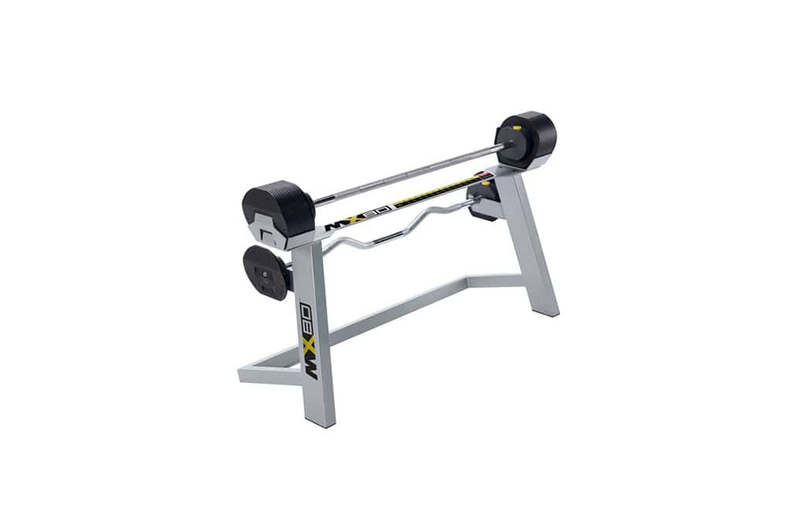 Perfectly balanced to ensure that as the resistance is altered the shape of the barbell never changes, its unique rack and pinion design prevents jamming and ensures weight selection is smooth and precise. 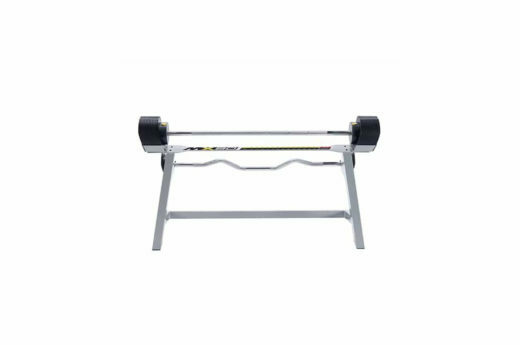 Both the barbell and EZ Curl bar can be removed and replaced at 180 degrees, allowing you to handle it just like you would a free-weight at the gym. 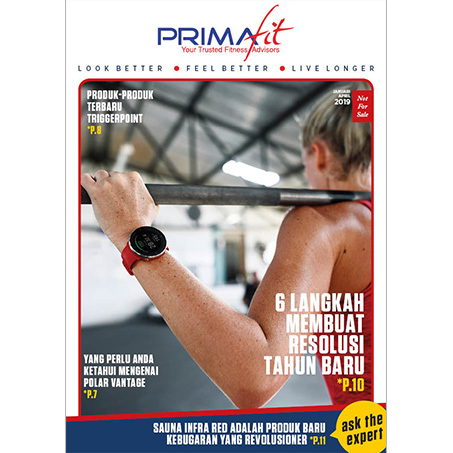 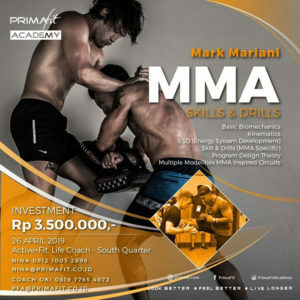 This exceptionally sculpted and robust performer, will help you gain lean body mass, lose fat and improve your general fitness level in the comfort of your own home gym. 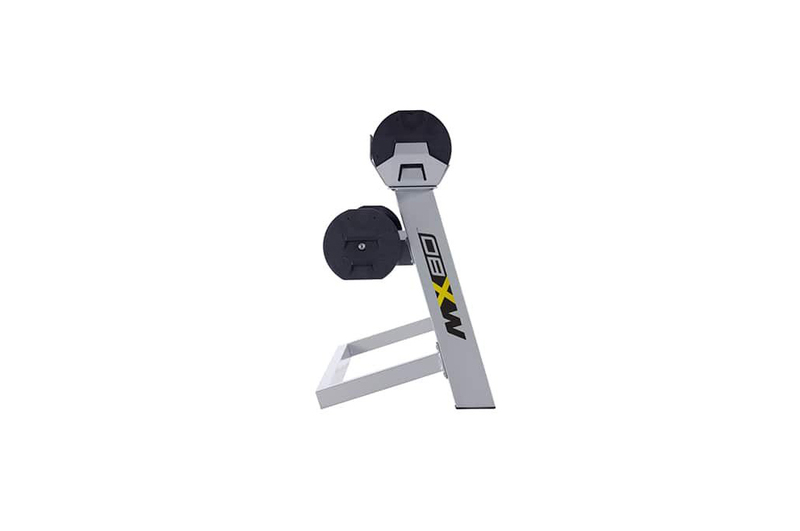 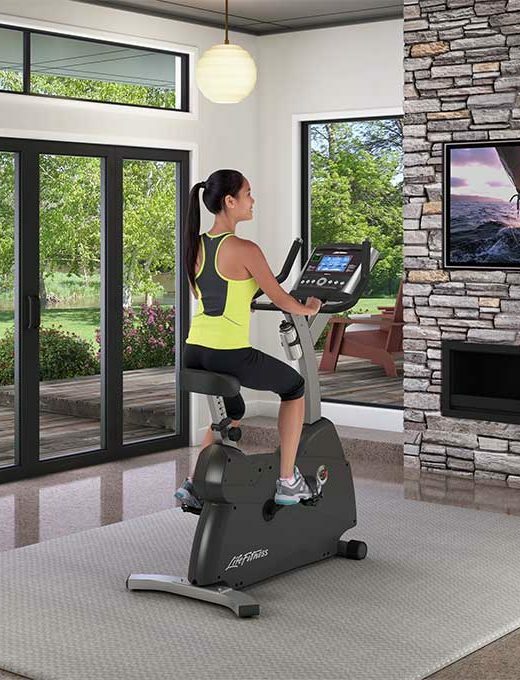 A basic home gym must-have, the MX80 training system together with the MX55 adjustable dumbbells, offer all the pro-style features you would expect from any professional gym quality weights equipment.